Parenting a child with special needs automatically sets you on the path for a unique journey, one that will have its toils and troubles but should also be filled with untold amounts of joy and a clearer understanding of the world. Both you and your child will encounter difficulties along the way, but special needs tutoring shouldn’t be one of them. Special needs tutoring is a unique educational niche that came about with the introduction of the Education for All Handicapped Children Act (EAHCA) of 1975. This was a groundbreaking act of humanity, as it recognized that all children, regardless of handicap, deserved access to a free appropriate public education (FAPE), something children with special needs were previously denied. When EAHCA finally became reality for so many children across the United States, the special needs sector was born – and quickly exploded. Before EAHCA, children with special needs had to either be home schooled or turfed to institutions that were able to handle their needs and education all in one. These were not great situations for all involved, but it was apparently the best solution for the problem of education at the time. With so many children not able to attend school, classroom numbers were small and funding was manageable, but when the floodgates opened the educational infrastructure suddenly became taxed. More students meant more teachers were needed to handle the ever-increasing capacity, and more teachers and students meant more schools needed to be built. The educational system suddenly started to grow by leaps and bounds, and special education services started to become a normal part of a school’s curriculum. The good news, however, is that the coming years saw a huge development in special education services, including a healthy sector of special needs tutoring. In 2004, EAHCA was renamed the Individuals with Disabilities Education Act (IDEA). This helped to open the door for other disabilities to come through, which brought with it a better, open and more honest conversation about the mental health of Americans. This led to professional psychologists working more closely with the school system, and special education services was now a professional career choice for teachers-in-training. As technology rapidly advanced in the coming decades, it was easy to start educating from a more modern point of view, and it quickly became obvious that assistive technological devices would be a great boon for special education. From basic computers to tablets, IBM to iPad, this foray into educational technology led to more devices that were capable of providing a wide range of tactile and motor skill therapy. A revolution was quickly born, and one that has steadily kept pace with the upwardly mobile special education sector. IDEA brought to education some new definitions and concepts, and those are still in place over a decade later. It helped to redefine what special education entailed for all children with special needs, and created stricter requirements for those that truly needed a special education environment. Special needs tutoring soon cropped up as a way to handle everyday educational needs outside of the traditional school system. As we all know, learning doesn’t automatically stop when the bell rings at the end of the day. A tutor, by definition, is “a private teacher, typically one who teaches a single student or a very small group.” With classrooms exploding in size and schools working to corral their numbers into manageable statics, it can sometimes be incredibly difficult to teach children with special needs in the way they need to be taught. All children learn at a different pace and in their own ways, which is why it’s important for us as parents, educators and professionals to help find and secure the best, most appropriate education possible – even if it’s through non-traditional routes. Often times, children with special needs become frustrated and overwhelmed in large classroom environments causing behaviors and disruption. Supplemental learning through special needs tutoring has rapidly grown in popularity in the United States. With classroom sizes continuing to increase and the lack of budget to support the much needed resources, parents have begun to take their child’s academic future into their own hands. A special needs tutor takes the curriculum currently being taught in your child’s traditional classroom and molds it to fit their specific learning needs. Before the advent of worldwide internet and a global network of users, seeking special needs tutoring could be difficult, if not wholly impossible, in some cases. Since talking about disabilities was still taboo in many circles, word of mouth from those “in the know” was one of the only ways to find qualified special needs tutors, and even that fell flat in some instances. The school system might have had access to information about tutors, as well as therapists and other special needs professionals, but only if they were in your area. Should you live in a small town or not know a lot of people, this could prove to be fruitless. Luckily, special needs tutoring has grown by leaps and bounds over the last decade and in so many ways: assistive technology, private tutoring, and advanced life skill therapy – the list goes on and on. 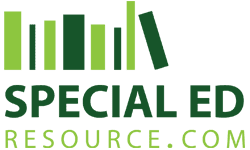 When it comes to special needs tutoring, Special Education Resource is the only online tutoring company dedicated solely to children with special needs and their parents. Our qualified, professional special needs tutors all hold various degrees in special education. Working within all areas of special needs (learning disabilities, emotional disabilities, autism, and much more), our tutors specialize in molding the material your child is currently being taught in a way that best fits your child’s learning needs. The technology for online special needs tutoring is fairly simple: you will need a webcam, computer and internet. See? It’s really easy. 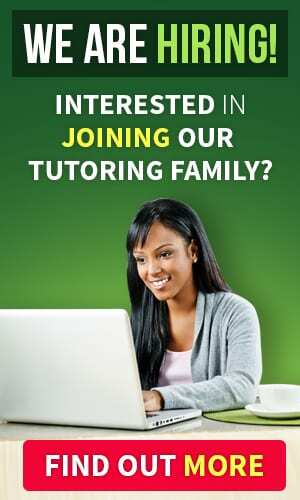 We offer several types of tutoring lessons, from a one-time lesson to regularly scheduled sessions (supplemental learning), and with the kind of flexibility you need for your busy schedule. Special needs tutoring is rising in popularity at a quick pace, and we hope to be able to assist you and your child in the near future. It really does take a village to raise a child, and this is especially true for children with special needs. At Special Education Resource, we work hard to help parents navigate the murky, confusing waters of special education. Through special needs tutoring, free consultations and hundreds of special education related articles, we have set out on a mission to arm you with the tools necessary to ensure your child with special needs reaches their excellence. As classroom sizes continue to explode and available resources continue to decline, many parents of children with special needs have begun seeking alternative academic assistance. Supplemental learning through special needs tutoring takes the curriculum currently being taught in the traditional classroom and molds it to fit your child’s individual learning needs. 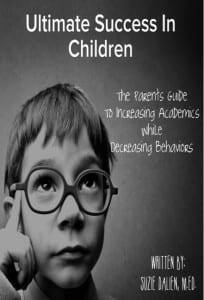 Children with special needs often become frustrated and overwhelmed in large classroom settings causing their grades to suffer along with an increase in behavior related issues. Special needs tutoring helps to correct those issues and get your child back on a course toward success.